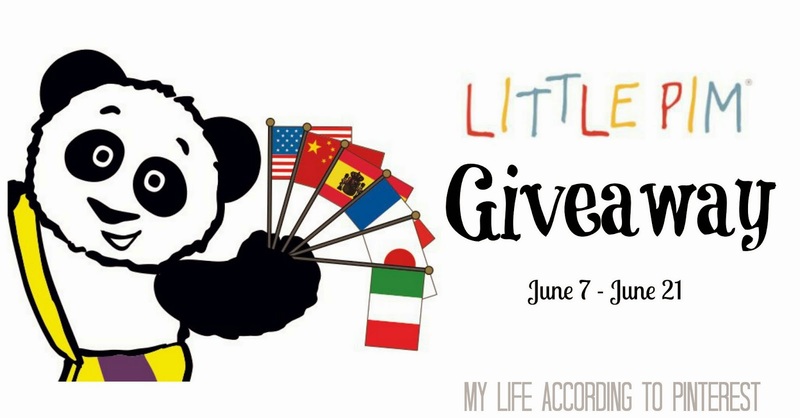 My Life According to Pinterest: Little Pim DVD Giveaway! Little Pim provides foreign language education to children ages 0-5. The Little Pim program is available in Spanish, French, Mandarin Chinese, Japanese, Hebrew, Italian, German, Arabic, English (ESL), and Russian. The videos are created so that children can watch either the entire 35 minute DVD or watch five minute episodes, which are helpful for children with brief attention spans. The videos present everyday situations where the foreign language is spoken and the words are printed on the screen in English as well. Only the foreign language is heard on the DVD. Check out my review of a Spanish DVD here. Want a 20% discount and a free trial? Click here for the promo code. i would say greek but since that isnt an option, ill go for spanish! Definitely Spanish! I want my kids to be fluent before 18! definitely Spanish; I want my kids to be fluent before 18! I would definitely choose Spanish for my little one :)!!! German! I already have the French.